ute ferry ride from downtown. It’s a great destination for runners who have the time. There are beaches, picnic grounds, a lighthouse, children’s park, disc golf course, gardens, and other attractions. 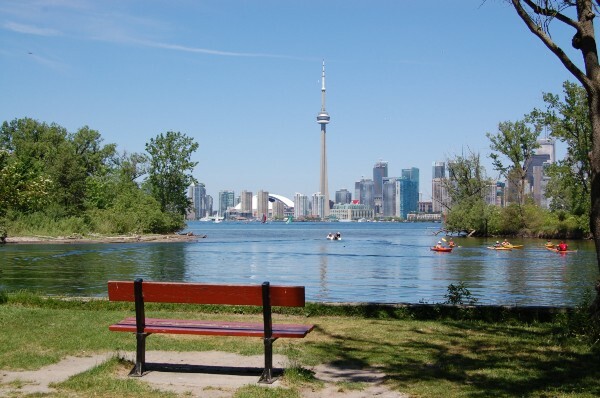 Also a great view of the Toronto skyline. There are numerous trail options for runners here. 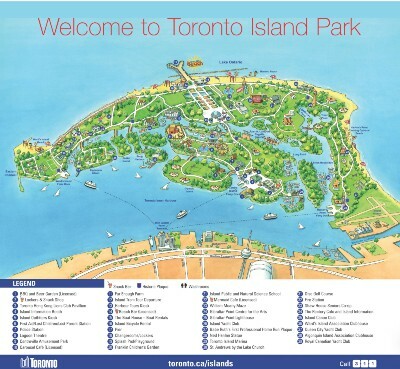 Our map starts at Center Island Pier, heads down the Avenue of the Island to the beach, then east along the water to Ward’s Island Beach, then west to Hanlan’s Point Beach (where there is a ‘clothing optional’ section), and out to the Hanlan’s Point Ferry. Total is 6.4 miles. 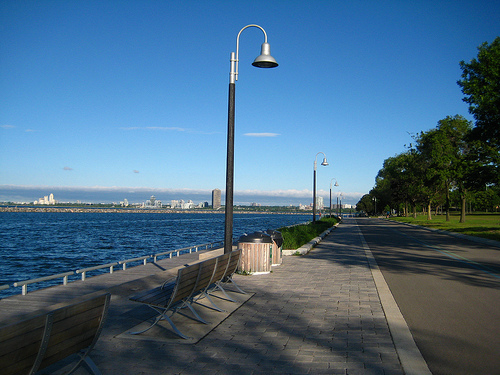 It’s another 2.4 miles from Hanlan’s Point to the Center Island Pier. We’ve also included the 10k course map from the annual Longboat race, held in September. It’s possible to take the ferry to/from any one of Center Island Pier, Hanlan’s Point, or Ward’s Island (check the schedule).